Displays user tables, user-created data files, stored procedure, etc. The most outstanding feature of this MDF file reader is that it opens MDF file in absence of the SQL server environment. 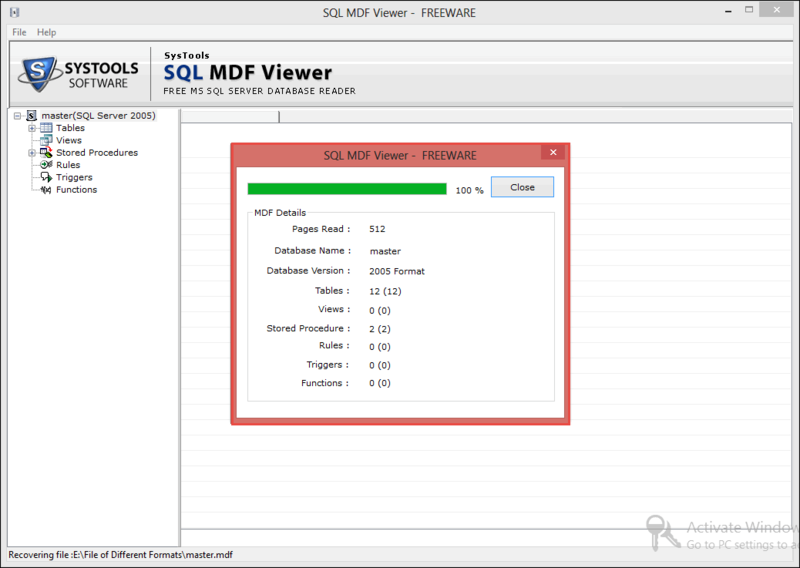 It is not mandatory to have the SQL server installation on user’s machine for analyzing and opening the MDF file with this freeware. 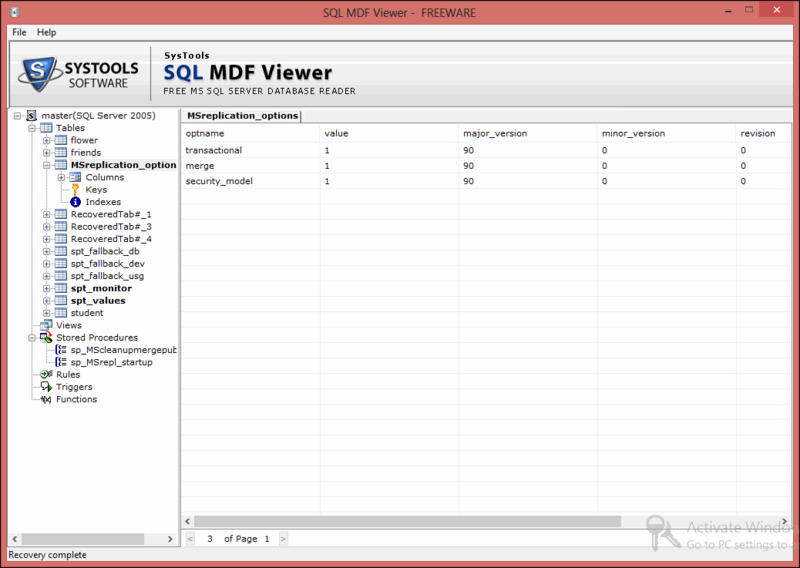 SQL MDF file viewer is having a diverse nature, which makes it possible to extract entire components of the server database file. The components can include tables, stored procedures, triggers, user-created functions, keys, etc. Users will be able to see all the properties of the MDF file with help of this software. MDF file Opener utility is capable of resolving all number of errors, which occurs when a user tries to open corrupt MDF file with the server. Errors like MDF file not opening in SQL server, SQL server 5171 error, 8942 error, etc., all will be fixed through our application. The attractive ribbon in the upper end of the product makes it comfortable for users to browse MDF file database of the server. The product is offering top-notch performance speed of loading the server database file and also provides a useful feature of exploring a particular table to view its entire content. After adding MDF files in the tool, users will be able to view live extraction report of the data, which is encountered by it. The progress report will be shown in percentage and other details of the MDF file like database name, its version, total number of tables, views, etc., all is shown the wizard. On the completion of extraction procedure, users will be provided with a pop-up message screen. This message window will ask end users whether they want to save details of the scanned file or not. One is free to save this file anywhere on their system with desired name in STR file format. Does the MDF file reader displays complete database of .mdf file? Yes, our software executes thorough scanning operation against browsed SQL MDF file and loads all recovered data in its main interface. What is the fact that makes your freeware different from all others, available in the market? The MDF file explorer holds the corrupted or orphaned MDF file with extreme care and guarantees that it will not alter the file data in anyway to prevent it from further damage. Will I have to pay any dollars for opening and viewing highly corrupted MDF file data with help of your freeware? No, there is no need to pay any dollars for viewing data items of a major corrupted MDF files with our utility. 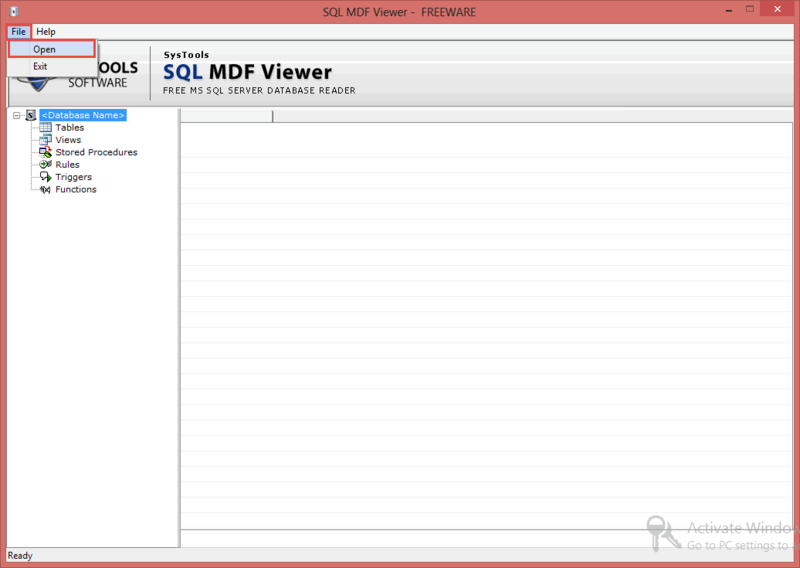 You can experience working of our SQL MDF file opener tool for free. I used many applications/tricks to view MDF file but, none of them are worth for me. Its now high time, please someone tell me how to open MDF file in Windows 7? 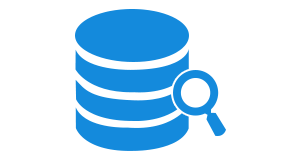 Our software is Windows-based utility, which enable users to smoothly open and read MDF file without SQL server on all versions of Windows i.e., 10, 8.1, 8, 7, and earlier ones. Will I be able to determine the SQL server version from which the selected MDF file is created? 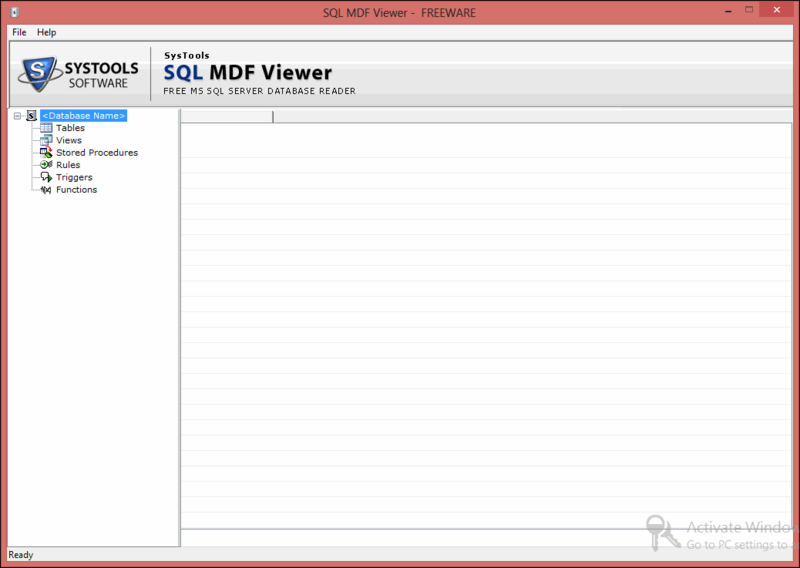 Yes, while extracting data from the MDF file, the software displays version of SQL server from which browsed MDF file is generated. "The server in my organization got rebooted automatically due to which one of the SQL server database file got corrupted. I was trying to detach and attach this damaged database file but, got an error message i.e., ‘cannot open MDF file’. Meanwhile, a need occur due to which there was an urgent requirement for reading few tables from this corrupt database file. Therefore, I used this freeware to open and read corrupt MDF file, with all table components needed for me." "I was having an application in which the SQL server program was used in the back end. Accidentally, my primary database file of the server got orphaned, restricting me to open and access MDF file. Hence, I searched for a solution by which I can open MDF file and read data from it. I found this MDF file viewer software, which I downloaded and installed for my task accomplishment. It was so easy for me to open orphaned MDF file with this tool that I was even not able to recognize that within just few minutes my 3.45GB MDF file data was displayed in front of me. Thanks a lot to team for their hard work!"